Join us on our journey into a new financial future. Don’t miss important announcements and updates. Powered by Blockchain technology: The cashback system wee, launches its own crypto currency and is changing the world. The revolution of digital currencies is starting now. In global payments, crypto currencies based on blockchain technology will become increasingly dominant. Our realistic goal is to create and establish the world’s first truly stable crypto currency for everyday use – and thus to launch a new era of payment systems around the world. As part of our Initial Coin Offering (ICO) we will expand our core brand as an innovative loyalty program: To create an organic network of paper money, crypto currency and cashback. The cashback business takes it to a new level. possibilities of blockchain technology. The wee marketplace is the perfect place for this. It synchronizes the virtual payment processes within our open system with payment transactions outside our own infrastructure. In turn, our users will be able to access the blockchain and gain easy access to our crypto currency. This will revolutionize the way they use crypto currencies in their everyday lives. The operational plan for a quantum leap to the global blue chip begins with the transfer of the existing cashback business to the blockchain. 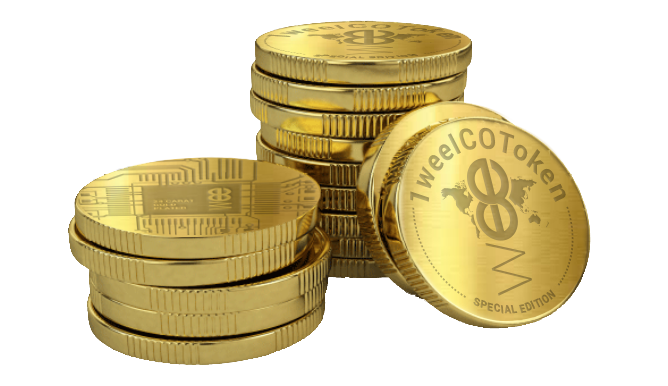 To this end, wee will first issue the weeICOToken (WIT) as part of the Initial Coin Offering (ICO). The WIT can be purchased during the ICO and can be traded on various crypto exchanges after the ICO. It can only be found on the crypto exchange and is therefore speculative and volatile. After the conclusion of the ICO, participation in the community of the wee marketplace will only be possible for owners of WIT. This will inevitably expand the demand for WIT. The second token is the weePayCoin (WPC), which serves as a stable coin for use in retail. 1:1 deposited with Euro, the weePayCoin will be the successor of today’s wee as a settlement unit after the ICO. The WPC is used in transactions, in practical terms for local retail purchases and online shopping. 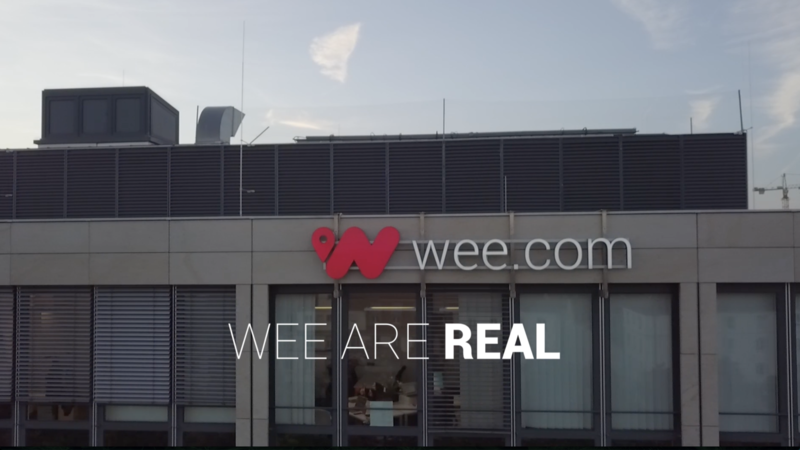 wee connects the global world of online shopping to local retailers. Cashback collected when shopping online can only be redeemed by the customer when shopping locally, thus strengthening the local economy. Alternatively, the collected wee – can be converted 1:1 into the respective local currency – being transferred to the customer’s private account. Founded in 2014, wee now has a user base of more than 50,000 customers and over 18,000 offline and online merchants in 19 countries. The group currently has 75 permanent employees. In addition, around 50 service providers support us. The global team of external sales partners comprises more than 8,000 people. 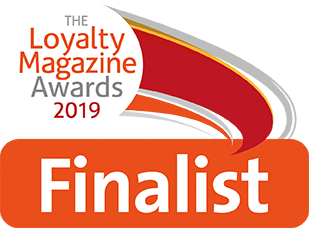 By the end of 2019, we expect 500,000* customers, 30,000* conventional retailers and 1,300* operators of well-known online shops, including Lidl, Saturn, DocMorris, Rewe and TripAdvisor. With the weePayCoin we will create the first stable crypto currency for everyday use. We have a vision of a fully decentralized future. However, today there are real financial obstacles that we need to overcome. Fiat money is strictly controlled by government institutions. The spending money requires trust in a third party to ensure the value of the currency. Traditional banking systems are complex, expensive and require cumbersome onboarding processes. This gives innovative companies like us the opportunity to deliver new solutions. The potential of decentralized accounts and crypto currencies has not yet been fully exploited as a payment solution. The gap between the crypto economy and established economies can be bridged with the right technology. At the same time, traditional paper money systems such as the euro or the dollar are far from perfect. Their value is controlled and justified only by the strength of the countries that spend them. In addition, most existing loyalty programs on the market are inflexible. They do not allow their users to exchange their rewards between different brands or stores or simply request a cash payout. This restriction makes it difficult for users to assess the real value of their points. Problems? For us, the challenge is to solve them. We act. With conventional loyalty and bonus programs, customers collect supposedly valuable discount points. wee is a more attractive and innovative alternative. Discounts are often not what they appear to be and can be more or less useless. Consumers are frequently offered only a limited range of unattractive rewards. They certainly do not have the option of exchanging them for cash. wee is replacing points with the new and stable crypto currency, the weePayCoin as a means of payment. With weePayCoins you can buy, sell, trade and save within and outside the wee marketplace – including payment of the balance in euro. The low level of acceptance of crypto currencies among retailers and the general public is largely due to incalculable volatility risks. However, wee creates a stable crypto currency with the weePayCoin. The weePayCoin is pegged 1:1 to the euro. This is why we can guarantee the greatest possible stability even when our crypto currency is introduced. The wee crypto currency has the best starting position to establish itself and assert itself worldwide: The use and staking of the weePayCoin is safe for users. The fear of a devaluation is unfounded. Many financial services based on crypto currencies either under deliver or lack a Minimum Viable Product (MVP). wee already has a successful digital and physical infrastructure. For wee, expanding the business by placing its own crypto currency is revolutionary, but comparatively low risk. The company has already invested almost three-digit million euros in the development and expansion of the digital and physical infrastructure for cashback transactions. The weePayCoin is at the heart of the huge expansion of our existing business. As a means of payment, the “coin” remains consistently stable because it is directly pegged to the euro. In addition, the means of payment embedded in the blockchain technology gives us the platform to further develop our cashback system. Our declared goal is to implement a liquid coin that will replace fiat currencies worldwide in real time for users as a stable value store. The acceptance of mobile payment varies across countries and continents due to different political and economic conditions. The wee platform creates both a strong push and pull effect with its crypto currency. wee not only wants to target the more affluent middle class, but the broader market too. Our crypto currency offers the opportunity to integrate many people into cashless payment transactions. Worldwide, around 2.7 billion people do not have a conventional bank account. This excludes conventional money transfers via banks and the use of credit cards. In the age of continuous digitalization of business and with smartphones central to the people’s lives, it’s easy to see why the public are drawn to digital innovations as they help improve their quality of life. With its products and services, the wee brand is highly attractive to retailers, online shops and end consumers. Join us on our way to worldwide success! The success of the blockchain technology offers immense possibilities for the further development of our system. 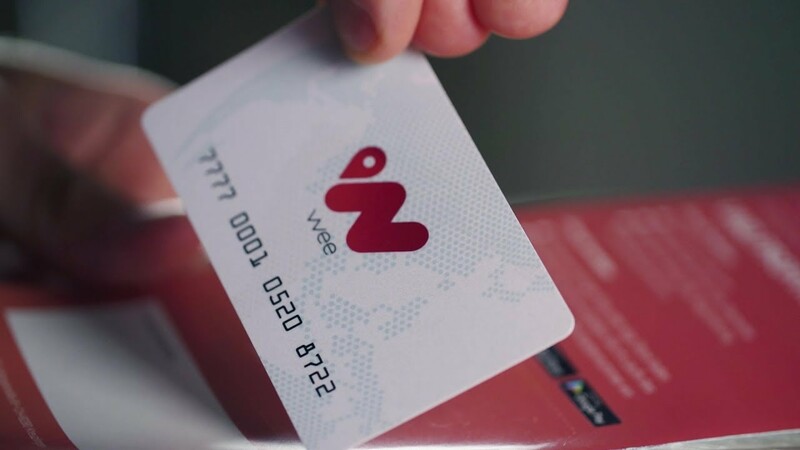 Until now, wee had to rely on complex and expensive banking systems to manage user accounts and transactions. This is both time consuming and inefficient. By merging the cashback system with blockchain technology, and transforming the current technical base and business model, wee solves this problem – at minimal cost to users worldwide. With the introduction of the weePayCoin (WPC) we will set new standards for how users handle crypto currencies. At the same time, we will set new standards for innovative blockchain applications. The future starts now. Crypto currencies are susceptible to strong price fluctuations. “Stable coins” are not subject to high volatility. They promote trust and are a better investment because they are linked to known and stable assets. The weePayCoin (WPC) is linked 1:1 to the euro. This gives wee customers the necessary stability and incentives to store and use the currency. They no longer have to worry about future devaluations. wee thus builds important brand loyalty. As WPC reserves grow and sufficient liquidity is achieved, wee will also offer the community innovative new financial products in the form of savings, investment and credit products. 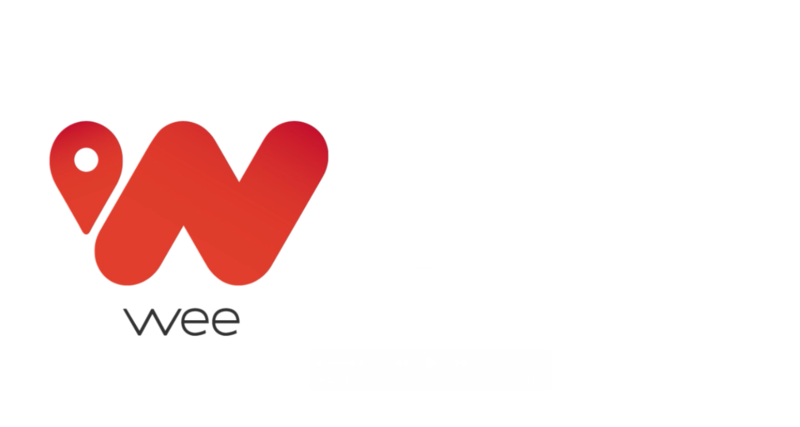 wee will be a secure option for people who have been using a less stable paper money currency. The WIT is issued as part of the ICO and later traded on the crypto exchange. It enables the transfer of the previous IT system into the blockchain. According to the ICO, it will only be possible for traders and consumers to act on the wee marketplace with a defined amount of WIT held in the wallet. The growth online and offline automatically leads to an increasing demand for WIT. In addition, the owners of WIT receive higher cashback discounts and additional VIP incentives. Owners who keep their WIT in the long term also receive substantial access advantages for the use of the wee marketplace. We are happy to reward community members who believe in our vision and support the wee brand. We motivate merchants to keep WIT in their wallet by significantly reducing their transaction fees and granting bonuses that can be used in virtual promotions as well as access to exclusive marketing campaigns. With WIT, owners and users can also buy in secondary markets, as WIT will be listed on all relevant crypto currency exchanges. As the new backbone of the wee Marketplace, the WPC is a currency token based on the Ethereum blockchain and fully pegged to the euro. The stability of euro and WPC will be identical, as the WPC is 100 percent pegged to the euro as fiat currency and deposited with euro. The WPC will be exchanged for euro on the wee marketplace at any time. In the future, the WPC can be used as a payment system in hundreds of thousands of online and local acceptance points in the wee marketplace. In future, the WPC can be used as a means of payment wherever someone has an ERC20 token-enabled wallet. Even with merchants who are not yet participants in the wee marketplace and are not acceptance points for wee. The WPC is a wonderfully flexible means of exchange - it can be traded with other Ethereum tokens or exchanged for WIT. 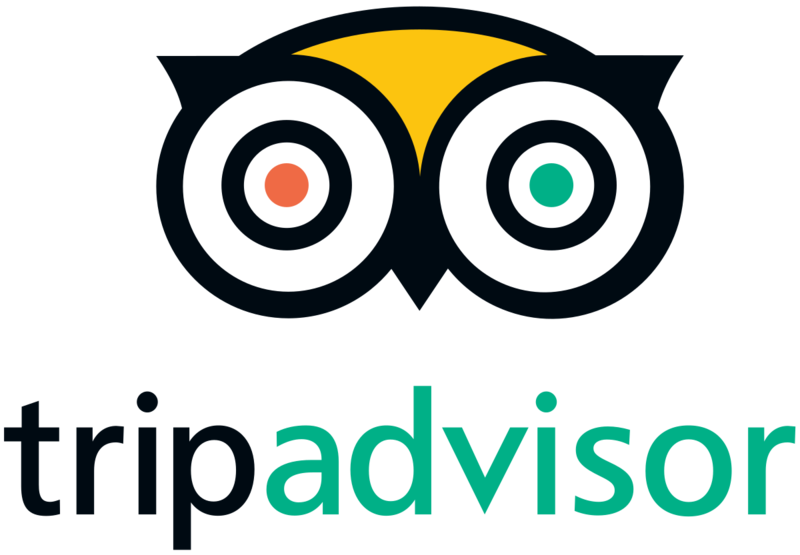 For the security of all users of the wee marketplace, regular audits are carried out and published by a reputable, independent auditing company. The WPC is the foundation for wee's crypto credit card as well as for groundbreaking future financial services. Why our offer is unique. Under the umbrella of the Swiss company Swiss Fintec Invest AG; weeMarketplace AG, weePayment AG, weeTechAG and weeNexxAG are “architects” of the ICO (Initial Coin Offering). 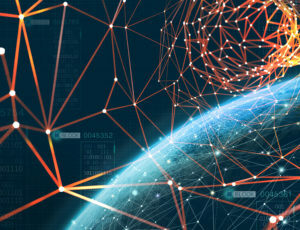 This new company has the unique know-how of a highly qualified team of experts consisting of internationally experienced specialists in blockchain technology, crypto currency pioneers and competencies in high finance, sales professionals and cashback experts. Buyers of WIT will invest in wee’s activities, growth and vision. The funds raised by the ICO will be the fuel for wee’s rocket to help launch into a new era of financial services. Once the ICO is complete, participation in the wee marketplace community will only be possible for WIT owners. This will increasingly increase the demand for the WIT. Incentives will also be created for WIT owners to buy, hold and use WIT. This strengthens the community and the network. All WIT owners will become VIP users who will benefit from the success and future of the company. Private Presale “Family & Friends” Starts Now. Token distribution might be adjusted closer to the opening date of the public sale. 3rd party loyalty programs wee platform will introduce interfaces to 3rd party loyalty programs. Applications for requested licenses to enable the future offering of various financial services to be submitted. We are the architects of the ICO of weeNexx and the strategists for the expansion of the wee marketplace. We individually have years of experience and collaborate as a team to deliver this wonderful opportunity. Our goal is to make the wee brand shine even more! To successfully implement our common vision worldwide. For this we give – each individual in his field of competence – the best. Private presale “Family & Friends” coming soon! The author cannot accept any liability whatsoever for the information presented as being correct, accurate, current, reliable or complete. 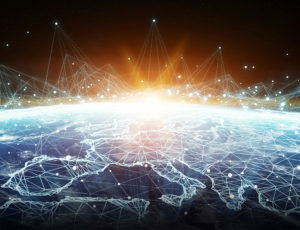 Liability claims against the author resulting from tangible or intangible damage caused by access to, use of or failure to use the published information, or from abuse of the connection or from technical disruptions, are excluded. All offers are non-binding. The author expressly reserves the right to amend, add to or delete parts of the pages or the entire web presence without making a special announcement of this intent, or to cease publication temporarily or permanently. References and links to third party websites are beyond our area of responsibility. We cannot accept any responsibility for such websites. Access to, and use of, any such websites is at users’ own risk. Copyright and all other rights relating to content, images, photos or other types of files on this website belong exclusively to the weeGroup or to the specifically mentioned rights holders. The copyright holder’s advance written permission is required before reproducing any type of element whatsoever. Worum geht es? Wer ist für die Datenverarbeitung verantwortlich?Die weeNexx AG, Burgstrasse 8, CH- 8280 Kreuzlingen (nachfolgend auch „weeNexx“, „wir“, „uns“) positioniert sich als Entwickler innovativer Fintech Geschäftsmodelle. Vor diesem Hintergrund investiert das Unternehmen in vielversprechende viel- und mittelstufige Fintech Unternehmen. Die Aktien der Swiss Fintec Invest AG sind an der Euronext in Paris gelistet.Diese Datenschutzerklärung gilt für Verarbeitung von personenbezogenen Daten von Aktionären, Sponsoren und Besuchern der Website (einzeln auch „Nutzer“) durch uns im Zusammenhang mit der Webapplikation weecoin.io. Die Webapplikation wird sowohl den Aktionären als auch deren Sponsoren zum Zweck der Verwaltung ihrer personenbezogenen Daten zur Verfügung gestellt.Datenschutzrechtlich Verantwortlicher i.S.d. EU-Datenschutz-Grundverordnung („DSGVO“) im Zusammenhang mit der Webapplikation weecoin.io ist die Swiss Fintec Invest AG. Diese Daten können wir bestimmten Personen grds. nicht zuordnen. Die vorgenannte Verarbeitung von Daten erfolgt lediglich zu dem Zweck, die Nutzung der Webseite zu ermöglichen. Weitere Informationen zur Datenverarbeitung betreffend die Webseite finden Sie unter Ziffer 3. Wenn ein Nutzer mit uns über die Services Kontakt aufnimmt, werden seine im Zuge der Kontaktaufnahme übermittelten Daten verwendet, um seine Anfrage zu beantworten. Die vorgenannten Daten werden ausschließlich zum Zwecke der Bearbeitung der entsprechenden Kontaktanfragen verwendet. Weitere Informationen zur Datenverarbeitung betreffend die Services finden Sie unten unter Ziffer 3. Wenn ein Nutzer z.B. in den Erhalt von Newslettern oder ähnlicher werblicher Informationen einwilligt, nutzen wir die Daten, auf die sich die entsprechende Einwilligung bezieht (z.B. die E-Mailadresse beim Newsletterversand), um dem Nutzer die entsprechenden Informationen zur Verfügung stellen zu können. Eine entsprechende Einwilligung kann jederzeit für die Zukunft widerrufen werden. Wenn ein Nutzer auf der Webseite einen Newsletter anfordert, erhält er von uns eine Bestätigungs- bzw. Autorisierungs- E-Mail, in welcher er gebeten wird, den in dieser E-Mail enthaltenen Link anzuklicken und uns damit zu bestätigen, dass er den Newsletter tatsächlich erhalten möchte. Erst nach dieser Bestätigung werden wir dem Nutzer entsprechende Newsletter zusenden. Der Nutzer kann den Bezug des Newsletters jederzeit beenden, indem er den dafür vorgesehenen (unsubcribe-)Link, welcher in jedem Newsletter enthalten ist, anklickt. Der Newsletter-Versand erfolgt nur zur Bewerbung unserer eigenen Produkte und Dienstleistungen. die Ziffern 2.c und 2.d Art. 6 Abs. 1 S. 1 lit. b) DSGVO (Vertragserfüllung bzw. vorvertragliche Maßnahmen). http://www.google.de/intl/de/policies/privacy/‘und bei Google Inc., 1600 Amphitheater Parkway, Mountainview, California 94043, USA.Google hat sich (nach unserer Kenntnis) zur Einhaltung des vom US-Handelsministerium veröffentlichten Privacy-Shield-Abkommens zwischen der EU und den USA über die Erhebung, Nutzung und Speicherung von personenbezogenen Daten aus den Mitgliedsstaaten der EU verpflichtet. Google hat durch Zertifizierung erklärt, dass es die einschlägigen Privacy-Shield-Prinzipien einhalten wird. Die EU-Kommission geht davon aus, dass die USA einen angemessenen Schutz für personenbezogene Daten gewährleisten, die aus der EU an unter dem Privacy Shield selbstzertifizierte Organisationen in den USA übermittelt werden. Weitere Informationen finden Sie unter: https://www.privacyshield.gov/EU-US-Framework.d. RechtsgrundlagenRechtsgrundlage für die in Ziffer 3.a beschriebene Verarbeitung von personenbezogenen Daten (soweit es sich dabei überhaupt um personenbezogene Daten handelt) ist Art. 6 Abs. 1 S. 1 lit. f DSGVO (berechtigtes Interesse; das berechtigte Interesse folgt aus den oben genannten Zwecken (insbesondere Optimierung der Webseitennutzung und Verbesserung der User-Experience).Rechtsgrundlage für die in Ziffer 3.b beschriebenen Verarbeitungen von personenbezogenen Daten (soweit es sich dabei überhaupt um personenbezogene Daten handelt) ist Art. 6 Abs. 1 S. 1 lit. f DSGVO (berechtigte Interessen; das berechtigte Interesse beruht auf der Optimierung der Webseitennutzung und Verbesserung der User-Experience).Rechtsgrundlage für die in Ziffer 3.c beschriebenen Verarbeitungen von personenbezogenen Daten (soweit es sich dabei überhaupt um personenbezogene Daten handelt) ist Art. 6 Abs. 1 S. 1 lit. f DSGVO (berechtigte Interessen; das berechtigte Interesse folgt insb. daraus die Information der Nutzer sicherzustellen. Werden die personenbezogenen Daten der Nutzer mit Dritten geteilt?Wir geben die personenbezogenen Daten der Nutzer grundsätzlich nicht an Dritte weiter, soweit sich aus dieser Datenschutzerklärung nicht etwas anderes ergibt.Wir übermitteln Daten der Nutzer ggf. (und im begrenzten Umfang) an mit uns verbundene Unternehmen innerhalb der wee-Gruppe, damit uns diese Unternehmen bei der Abwicklung und Verwaltung des jeweiligen Nutzer-Accounts bzw. der Verträge mit den Nutzern unterstützen können. Rechtsgrundlage für diese Verarbeitung von personenbezogenen Daten ist Art. 6 Abs. 1 S. 1 lit. f DSGVO (berechtigtes Interesse; das berechtigte Interesse folgt aus den vorgenannten Zwecken) bzw. Art. 6 Abs. 1 S. 1 lit. b DSGVO (Vertragserfüllung bzw. vorvertragliche Maßnahmen).Wir setzen zudem ggf. (technische) Dienstleister ein, die personenbezogene Daten in unserem Auftrag verarbeiten (z.B. IT-Dienstleister, Banken). Diese Dienstleister verarbeiten die entsprechenden personenbezogenen Daten ausschließlich nach unseren Weisungen (Auftragsverarbeiter). Rechtsgrundlage für eine solche Datenverarbeitung ist Art. 28 DS-GVO (Auftragsverarbeitung) und i.d.R. Art. 6 Abs. 1 S. 1 lit. b DSGVO (Vertragserfüllung bzw. vorvertragliche Maßnahmen).Wir geben personenbezogenen Daten des Nutzers ggf. an Dritte weiter, wenn wir dazu gesetzlich verpflichtet sind (z.B. auf Anfrage eines Gerichts oder einer Strafverfolgungsbehörde). Rechtsgrundlage für eine solche Datenverarbeitung ist Art. 6 Abs. 1 Satz 1 lit. c DSGVO (rechtliche Verpflichtung). Wie lange werden personenbezogene Daten der Nutzer gespeichert?Soweit sich aus den übrigen Hinweisen dieser Datenschutzerklärung keine andere Speicherdauer ergibt, speichern wir die personenbezogenen Daten der Aktionäre und Sponsoren im Umfang und für die Dauer zwingender gesetzlicher Aufbewahrungspflichten. Soweit wir die Daten des jeweiligen Nutzers Daten nicht mehr für die oben beschriebenen Zwecke benötigen, werden sie während der jeweiligen gesetzlichen Aufbewahrungsfrist lediglich gespeichert und nicht für andere Zwecke verarbeitet. Wie kann ich Kontakt aufnehmen? An wen kann ich mich wenden?Nutzer können mit uns unter der in Ziffer 1. angegebenen Adresse sowie über service@weecoin.io.Für alle Fragen zum Thema Datenschutz (einschl. der Geltendmachung der Rechte nach Ziffer 6.) können Nutzer sich auch direkt an unseren Datenschutzbeauftragten wenden. Die Kontaktdaten des Datenschutzbeauftragten sind: agentia Wirtschaftsdienst, Dipl.-Inform. Udo Wenzel, Budapester Strasse 31, D-10787 Berlin, weedatenschutz@agentia.com, Tel: 0049 30 21964390. Was tun wir, um die personenbezogenen Daten der Nutzer (vor dem Zugriff Dritter) zu schützen?Wir unterhalten aktuelle technische Maßnahmen zur Gewährleistung der Datensicherheit, insbesondere zum Schutz der personenbezogenen Daten der Nutzer vor Gefahren bei Datenübertragungen sowie vor Kenntniserlangung durch Dritte. Diese werden dem aktuellen Stand der Technik entsprechend jeweils angepasst.